Minutes away from Birmingham International Airport, the Quality Innis nearby the Talladega Super Speedway and Barber Motorsports Park.Start your morning with a free, hot, fresh and healthy Q Corner Café breakfast. Enjoy all the Q Value amenities like free high-speed Internet access, free newspaper, free local calls, free coffee and tea in the lobby, an outdoor seasonal pool and a fitness center. All rooms have flat-screen television with cable, microwave, hair dryer, coffee maker, iron and ironing board. Some rooms offer whirlpool tub. Relax in our signature Q Bed featuring a comfortable pillow-top mattress, 200 thread-count linens and plenty of fluffy pillows. Non-smoking rooms are available. Business travelers will appreciate our business center, a computer with Internet as well as access to copy and fax services. 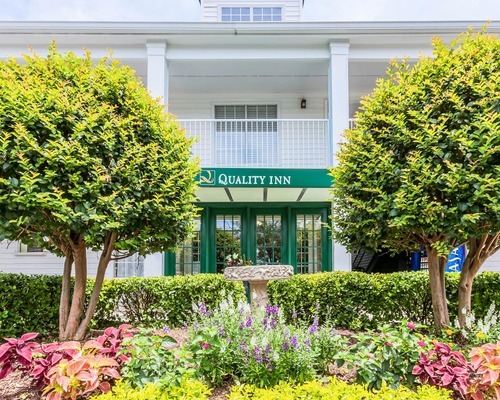 Please visit us soon at the Quality Inn hotel in Trussville, AL where we give you value for your hard-earned money.